The 2013/14 World Cup season ended with an amazing final in Planica. 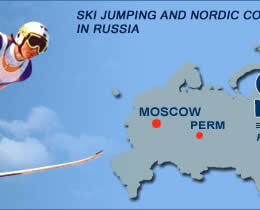 World Cup, 4-Hills-Tournament, ski flying World Championships and of course the Olympics - this winter offered a lot. It was definitely a year where many athletes were on a similar level. 14 different athletes of eight nations won 28 individual competitions. With six wins, Kamil Stoch was the most successful jumper, followed by Severin Freund with five. The two must surprising winners this season were probably Krysztof Biegun at the Opening in Klingenthal and Anssi Koivuranta in Innsbruck. Also interesting: Severin Freund won as many World Cups this winter as the whole Austrian team. Kamil Stoch, who scored no points at the opening event in Klingenthal, was getting stronger and stronger during the course of the season. At the end there's no doubt that his overall World Cup title is well-deserved. Poland's head coach Lukasz Kruczek said on TVP: "It was an incredible season with big successes. Thanks to the team. It feels a bit like as if the athletes now make our dreams, we already had as jumpers, come true." Peter Prevc became the top jumper of the Slovenian team. With two individual medals at the Olympics, the second place in the overall World Cup and the win of the ski flying World Cup he can look back on an amazing season. Peter Prevc told the Polish newspaper "Fakt": "In my opinion Kamil stoch is an outstanding athlete. In order to keep up with him I have to train very hard. He will do that as well, the competitions will then show who's the best. My final jump of the season was almost perfect, that's why I could win in front of my home crowd. It was one of the best days in my career and I'm sure even better ones are yet to come." Severin Freund is now one of the best ski jumpers in the world. Especially in the last weeks of the season his performances were impressive. At the 4-Hills-Tournament and in the individual competitions at the Olympics he was maybe still lacking the killer instinct. 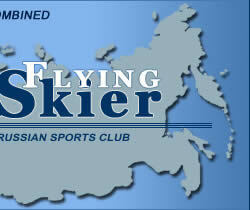 It seems that now, after team Gold in Sochi and the title at the ski flying World Championships, he found it. "It would have been easy for me to jump a bit longer this winter, it would not be difficult to stay motivated. But I'm also looking forward to go and have a nice breakfast tomorrow. This is the first reward. Olympic Gold and the title in Harrachov is something big, it will be in my resume forever. But also the third place in the overall World Cup is great. I still think that the overall World Cup is the biggest title you can win as an athlete." With Krzysztof Biegun, Jan Ziobro, Jernej Damjan, Peter Prevc, Thomas Diethart, Andreas Wellinger and Annsi Koivuranta, seven athletes won their first World Cup competition this season. 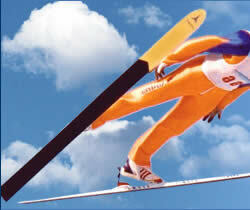 Noriaki Kasai set a new record in Bad Mitterndorf in becoming the oldest World Cup winner ever at age 41. Despite sometimes difficult conditions only one individual competition, in Kuusamo, was canceled. Gregor Schlierenzauer couldn't take a win in the last 21 World Cup competitions. The longest dry spell in his career. Alexander Pointner: "We are happy that we could win the Nation's Cup again. It is very nice, because it shows that we were able to include new faces in our team. We have five athletes among the best 15, even if were are not on top. It was a difficult season, with falls of Thomas Morgenstern and Andreas Kofler that had a huge influence on the course of the season. At the end we showed a great team performance and we can be proud of that." Austria's Martin Koch, Norwegian Bjoern Einar Romoeren and Takanobu Okabe of Japan ended their careers.